Do you want to learn French online ? Start to learn french online right now, in the comfort of your own home. We offer individual classes via Skype or Hangouts, and group classes via our online platform. Try now your first 30 minutes lesson completely free, to learn french online ! HOW WILL YOU LEARN FRENCH ONLINE ? You can learn french online in a group up to 5 persons. Our virtual classroom will give you an experience similar to a presential course, and your learning process will be optimized. You already are learning french, you’re planning to pass an exam, but you still don’t feel prepared 100% ? We will help you with a personalized preparation so that you can be confident on the D-day ! Your company works with french-speaking partners ? Sign your team up to our special training for business french and start to enhance your business with them ! Our teacher want you to learn french the best way possible ! They live in countries with low cost of life, and that’s how we can offer you classes at the best prices. Our teachers are native speakers who have experience and all required qualification needed to teach french. We work from a virtual platform to give our classes, you can choose between Skype or Google Hangout. Our students are important to us. We want to be part of every one of your success in your learning process. In order for you to be able to discover our methods and evaluate your teacher, we offer you a FREE trial class. The more hours you buy at once, the bigger the discounts we offer to you. Learn french with us and save money ! Unlike other institutions in which the lessons last for 45 or 50 minutes, we offer 60 minutes lessons. 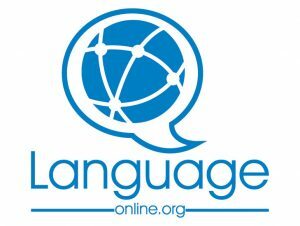 Make the best of your time and money with Language-Online ! The hours you buy won’t expire. You can buy hours now and use them after months or years, and this, without an extra cost. We work 365 days a year, 7 days a week. You can schedule your lessons when you want, even during the week end, at the same price. How will you learn french online with us ? Reserve your free 30 minutes trial class to discover your teacher and our methods. Choose the number of hours you will buy to learn french. we offer you good discounts, up to 20%. Schedule your lessons and learn french with your native teacher ! Why learn french online ? The french language is one of the most spoken languages around the world, and you sure are not the only one who is thinking about learning it. If you still are not decided to take that step, we will present here a few of the major reasons why you should actually do it ! This must be the most important reason, learning french will open you a lot of doors in the professional area, and if you are looking for a job. The possibilities of making business with this language are important, and without a doubt, it will reveal to be an excellent investment. The universities in Europe and particularly France are very open to receiving foreign students in exchange programs. Knowing french, and your mother tongue, will open a lot of doors for interesting diplomas like bachelor degrees or maestria, and increase your opportunities. As french is one of the most spoken languages in the world, knowing it will allow you to visit a lot of places without any difficulty to communicate with the locals. You will enjoy a high variety of countries and landscapes while feeling at ease in your travels. Learning french nowadays has become something accessible and essential that everyone should consider. French culture is one of the most flourishing and appreciated in the world, and there are a huge number of art written or made in this language. You will be able to enjoy them without the need for translation. As a matter of fact, it is a virtuous circle, as reading and listening to french while enjoying the french books and movies, will help you in return increase your level of french, as you will gain vocabulary and mastery. What do our old students say about us ? The company I work with started to make business with Paris. I found myself with the need to learn it to be able to communicate with our partners. I did my trial lesson here at Language-Online and it convinced me. I decided to go on with my teacher. I don’t regret that decision, now I’m about to make a trip to Paris and I feel absolutly ready. I want to do advanced studies in France, and one of the prerequisites for the foreign student is to be able to read and understand the books that are written in french, of course. When I visited Language-Online, my attention was drawn by the possibility to take my classes when I want, for me it was very important that my teacher would be disponible on week-ends, since I don’t have a lot of free time with my studies. So I took the step sith them, and I enjoyed the lessons ; now I have all the prerequisites I needed. Speaking french, although not perfectly yet, already opened a lot of doors to me. Book your 30 minutes trial lesson now, it’s entirely free !